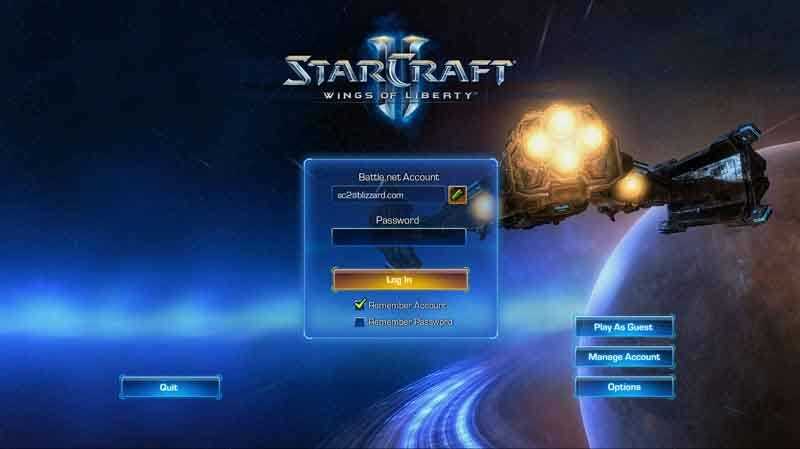 Troubled by the Battle.net login screen that appears upon first launching StarCraft II? Does it mean that StarCraft II requires an internet connection? Not so, says Blizzard's Rob Pardo. Some of our readers were a bit put off by the suggestion that the single player portion of StarCraft II would require logging into Battle.net, as evidenced by some of the comments in the post following the Battle.net panel at BlizzCon this weekend. The next day we followed up on the issue with Blizzard vice president of game design Rob Pardo, who clarified the single player situation for us. "You don't technically have to (login), but you'll want to. You can play in offline mode if you want - I just don't think you're going to want to. You'll be giving up lots and lots of features, and why would you want to be giving up features?" We covered the features exhaustively in the original post, but perhaps we didn't draw your attention to the button on the above screenshot labeled "Play As Guest." That button kicks off the game without connecting, so those of you without internet who couldn't possibly be reading this post should be happy, unless they try to set up a LAN.